Today, business is largely dominated by ‘left-side brain‘ perspectives. Business management practices such as performance management, strategic planning, financially driven strategies and plans, productivity driven initiatives are just few examples. They have been proved to «work» in recent decades and produce short-term results but they are often «cold» and dehumanizing. They are sometimes associated to men as men are generally more prone towards left-side-brain thinking and working. I will not comment here on the collateral damages that this approach has generated over the years, but I believe it is time to consider something radically different. I am not saying we should get rid of the above. It works ! We now need to supplement it (the power of AND !) with more right-side-brain thinking so that we can find a sense of purpose, connection and growth in our workplace. I have always been amazed by how much we (individuals and companies) take care of our equipment (cars, electronic devices, machines, IT systems, production systems, …) by upgrading and repairing them constantly. 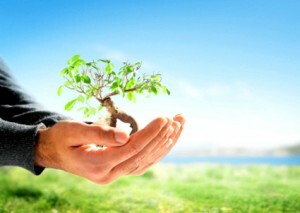 But what do we do to keep our human capital alive, rejuvenated, healthy, inspired and engaged. So little …. And luckily, the human «machine» is more flexible and adaptable than actual machines. But only to a certain extent. 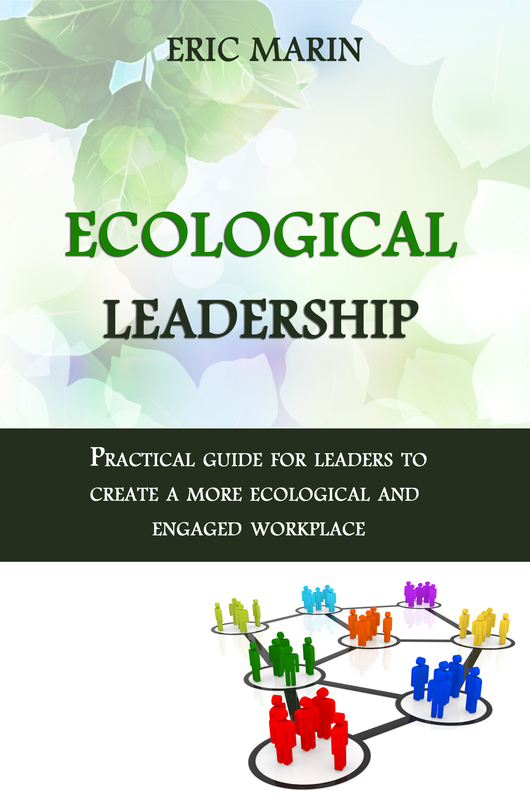 I am suggesting there are 7 important principles to ecological sustainable leadership. Are there more ? Certainly. I strongly believe the 7 principles below can indeed yield new level of performance, ecologically and sustainably. Daniel H. Pink, in his book «Drive», shows how «carrot & stick» approaches do not work to sustainably motivate people (as we have believed for years). But instead how autonomy, mastery and purpose are important. Developing for ourselves a sense of what our cathedral is (our purpose, see my blog entry) as well as helping others to build their own by coaching them does produce exceptional results. It is about developing a higher vision for our lives, our work and our roles as individual contributors, managers and/or leaders. We have the opportunity to look at our jobs as great opportunities to develop the best version possible of us, and develop a renewed purpose at work. Coaching certainly can help individuals and managers towards that goal. Diversity, when embraced, can foster new levels of collaboration, innovation, creativity, respect, and results into higher performance. As an example, globalization calls for new remote management skills to be developed. And those skills require a more sensitive approach than that utilized with local teams and organizations. Many traditions (Buddhism, Hinduism, Zen, ..) talk about the different energies , feminine and masculine , that need to be balanced in the universe. Same applies to our workplace ! As said above, it is time to re-balance our perspective. One form of the «Feminine» is intuition. It is key we listen to our intuition again. A lot could be said here, but tuning to our intuition (there are several ways to develop that ability) will increase our creativity and motivation. I will develop that principle later in my blog. This principle echoes the fundamental principles of «Non Violent Communication». Manager that are compassionate, able to connect with empathy with others, respectful of the feelings and needs of others as well as theirs are more likely to create a great place to work for their teams. It is about developing the quality of the connection before getting results. Secondly, NVC teaches that once facts, feelings and needs have been clarified, clear communication should end with a clear ask. The good news is that developing authentic relationships at work and have very S.M.A.R.T asks will provide … better and more sustainable results! Authentic management and leadership require courage. Whether as a manager or as colleague, providing courageous and genuine feedback (see my blog entry here) is key to ecological and healthy leadership. Every time I have received authentic and courageous feedback from others, it did create an opening within me which helped me to grow, develop new capabilities and become better at what I do. It is time to revisit how decisions are being made and enforced. We work in increasingly collaborative environments, providing fantastic opportunities to tap into the collective intelligence, and yet, the way we take decisions and apply them is still pretty much centralized and top-down. Models exist to develop more inclusive decision-making processes and design different organizations to ensure better decisions, stronger buy-in, sharper execution and sense of belonging. I believe it is time to experiment and adopt some of them. I will develop that principle later in my blog. As said above, more focus and investment in people development and personal growth are increasingly needed to take care our human capital. People managers and HR departments need to look at teams and team members as belonging to larger ecosystems. And for those ecosystems to develop in a sustainable manner, human-centered development strategies need to be implemented, beyond traditional trainings supporting day-to-day business needs. Companies have started to explore innovative practices. How engaged and motivated would you be if you were to work for a company where managers would support you in being passionate ? For instance, by giving you time to pursue innovative business ideas and projects? How inspired would you feel working in organizations where managers and talents (or else) are coached? Or where stress management and relaxation techniques such as yoga and meditation were implemented? There are many more, and I would argue that the first 6 principles above could also be part of human-centered specific initiatives. They would produce extraordinary results!